October | 2009 | Always On! The following excerpt is from a whitepaper written with two of my colleagues at Abbey Road Associates. Abbey Road is a business consulting firm that specializes in pricing strategy. I work with Abbey Road on a project basis. If you would like to read more of this paper, please contact me at karenlevine@abbeyroadassociates.com. Which pricing strategies address falling demand in an economic downturn? The pundits generally say ‘wake up, pay closer attention to customers, and be more targeted in your pricing.’1 Good ideas certainly, but what should you do specifically? Which price initiatives do, or do not, work? From working with clients in industries which entered the recession early (e.g., print media, construction and commodity capital goods) we believe there are five key strategies, generally requiring intelligent use of tools, to combat falling revenues. The key to success, in all cases, is not to assume that market-facing management becomes magically smarter. You may need tools to change behaviors. So, the answers occur in strategy + tool combinations. Most of them focus on understanding the customer buying decision, which is the driver of price sensitivity. Know the decision, and you can optimize your pricing. Strategy 1: Adjust your understanding of value and its capture. With the downturn, the value of your offer has changed both in aggregate, and by component. For many industries the value of your after-sale service has increased, while the value of new widgets has fallen. This is a direct consequence of your customers feeling poorer, or having their budgets cut. 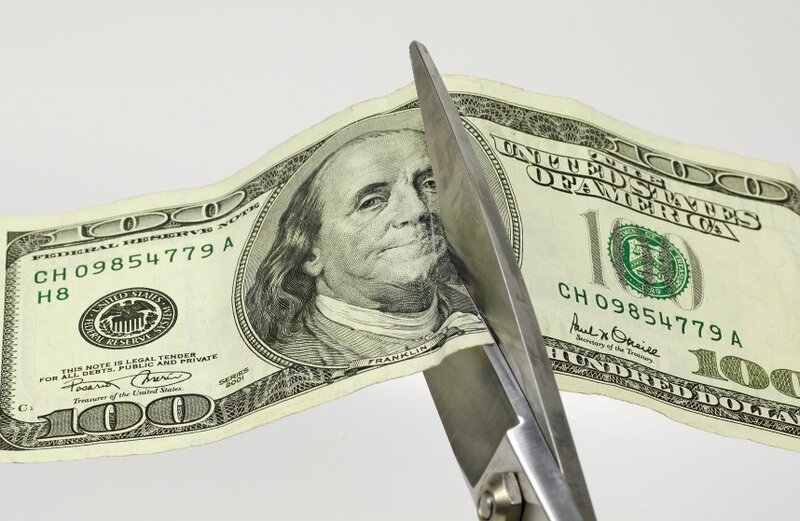 While such cuts will preclude purchase of new units or services, the old units are now integral to customers’ businesses, and so must be maintained, recession or not. Evidence of this sort of shift comes from recent IBM earning results. Unlike its more manufacturing-oriented peers who experienced sharp revenue declines, IBM exceeded earnings because it had shifted its business to over 60% service and lease revenues—which were less subject to capital expenditure cuts. — Best of all, a rigorous analysis of customer behavior and testing of purchase/price behavior through regression or similar techniques. The sooner you understand which categories of spend must continue, and which categories will be cut, the sooner you can adjust your price structure. We have found this analysis produces the best programs for preserving revenues. Often, a price increase on less price sensitive offer elements will offset reduced demand for former flagship products. In simple terms: assuming your “normal” revenue mix is 70% new sales, 30% follow on, and the recession causes new sales to fall by 20%, we find that often you can make up much of that fall by raising follow-on prices (by as much as 50% in some cases!) Naturally, to avoid customer rebellion, finesse, messaging and superior bundling techniques are required to pull that off. Strategy 2: Improve the value message. This strategy is linked to the first strategy; in a nutshell it says that customers do not always realize the value of what you offer. While many sales forces say they sell value, in fact most do not. This is because in good times, in many industries, a sales rep does not do best by selling value. Rather the rep does better by raising awareness and inserting themselves into a buying process. In a downturn, the value communication role becomes more important. The tool required for this role is to equip and train the sales force with specific messages and evidence of your product’s or service’s value. For instance, surprisingly few companies engage third party evaluators to compare their product with competitors. Credible third party evaluators are plentiful: often university professors will evaluate your product for little more than the cost of samples. Evaluation organizations such as J. D. Powers are very important elements of a value message when customers are parting with their money with increasing care. Strategy 3: Make a third party pay, e.g., the IRS. Many companies believe that once the product or service has been delivered, the pricing process is over. Wrong. We find that many buyers are able to obtain reimbursement of their costs, and that a majority of buyers can be educated on the tax consequences of their purchase. You as the seller impact both taxes and reimbursements, and you neglect an important element of net realized price if you ignore these impacts. The means to effecting this is to understand your customer’s tax or reimbursement opportunities. For instance: if you sell to lawyers who can obtain client reimbursement of electronic research but not books, sell your electronic and print research in bundles and on the invoice allocate most of the price to the electronic. For instance: if you sell bundles of telephone and video services, do not allocate them equally on the invoice. Allocate more of the bundle price to the potentially tax deductable telephone line, and educate customers on why you have done so. A final example: if you are a not-for-profit performing venue selling 10 performance season tickets for $300, and individual performances for $50, then grant season ticket holders who donate back tickets for a performance they cannot attend a tax credit of $50, not $30. Strategy 4: Better identify customer price sensitivities. In some cases, a high priority should be to better understand a particular customer’s price sensitivity and the possibility of cancellations and defections. This will identify when you may need to offer a greater discount to retain the business, or when a discount is unnecessary. It takes segmentation and moves it to a more granular level. We recommend a simple execution of this tool. The reason for this is that humans know more about key customer price drivers than do your systems. Frequently, the most important inputs to such a tool are known first by sales representatives or brand managers. For instance, a key factor could be a change in how purchases are approved, such as the switch between single decision-maker and committee, or a credit crunch in a particular geography or end user industry. The benefits of this tool can be enormous. We repeatedly find that less than two-thirds of cancellations are price driven, so should not be addressed through price. Indeed, lowering price can sometimes destroy trust and set in motion further purchase reviews. 1 For instance, the current McKinsey & Company January 2009 Quarterly We suppose the pundits include us, as we wrote Chapter 6. “Boom and Bust” in Winning the Profit Game. Smarter Pricing, Smarter Branding (McGraw-Hill, 2004). 2 The idea is that context sets price. While the customer may buy the same thing as always, the value and ability to price are different. For instance, while the orchestra may be the same, the price of a single performance is not the same as a series. So, if the season pass holder turns back in a single performance, it’s worth $50, not $30 ($300 divided by 10 performances.) This is hard-nosed value assessment. If you would like to read more of this paper, please contact me at karenlevine@abbeyroadassociates.com. Since this did not fit the response box on your blog, and also because I do not want to spam your blog, I am sending you this response by mail. Thanks for sharing your point of view and experiences about developments in the media industry, very interesting. Allow me to add to the mind-sharing process with a short point of view about how the traditional media industry is faced with a challenging, but exciting quantum leap change in customer demand, while the subsequent required quantum leap change in business model, in many cases, appears to lag behind. One of the most significant developments in my opinion is the growing divorce of distribution from content creation in the value creation process. This evolution became most visible with the entrance of iTunes into the music industry. The enforced role change of traditional industry players that used to fulfill a dominant role in the entire supply chain of artist intellectual property creation and distribution to end-users, resulted in a halo-effect on related industries in which value creation is (or: used to be) dependant on the connection of intellectual property creation and supply chain control. Another, but similar, example is the upcoming rise and increased acceptance of e-books in general, and the delivery mechanism thru Amazon’s Kindle in particular. While e-books are not a new phenomenon, the increased acceptance makes this a transformational development that forces traditional book publishers to structurally re-think business models. It is obviously easy to perform post-mortem analyses that rationalize why things happened the way they happened, however the key forward looking question remains how these developments are truly going to change the game of content creation and distribution in the future. Most new entrants choose a business model that focuses on either content creation, or distribution. Besides differences in required resources and capabilities, this also makes sense from an investment perspective since both operating model and risk profile of these two structures are fundamentally different from each other. The former business model is mostly being structured around relatively stabile intellectual property driven revenue streams, such as licensing. The latter business model is mostly being structured around relatively volatile traffic driven revenue streams, such as advertising. On the other hand, most existing players continue to exploit a business model that is a hybrid of structures. Rather than strengthening competitive advantage thru innovation within the core, many mature players in the media industry decided to expand into adjacent sources of non-competitive advantage driven value. Publishing businesses that entered the seminar and conference business form one example, while adjacent advertising models form another example of a commonly exploited incremental revenue generating tactic. As could have been anticipated ahead, in many cases these adjacent value creation tactics turned out to be non-sustainable under pressure (as seen in current economic downturn). This seems counterintuitive because theoretically established players should be better positioned to win when the core game is changing. The hurdle however is that it would take a ‘strengthening by elimination’ type of strategy to unleash this potential, and such a strategy is usually perceived as a high risk strategy. When ranking the utility of a ‘doing nothing’ scenario against the utility of making the wrong transformational decision, the typical course of action is a risk-averse staging strategy. This strategy, which parallels the ‘dollar cost averaging’ strategy as known from the investment industry, may be perceived as less risk-full but in fact lacks efficiency and fluidity to take advantage of rapid changes in a value accretive way. Consequently, the only option to end at the winning side of the table is to go all-in with a strong commitment to succeed. Said differently, there is no such thing as being a little bit pregnant. At the end of the day the ultimate question however remains if existing mature players will be able to pro-actively enter the new game with a credible confidence to win, rather than a re-active participation to protect value. Behavioral finance learns that the fear of losing typically outweighs the desire to gain, but time will tell. Best, and look forward to read more of your point of views. Edwin.